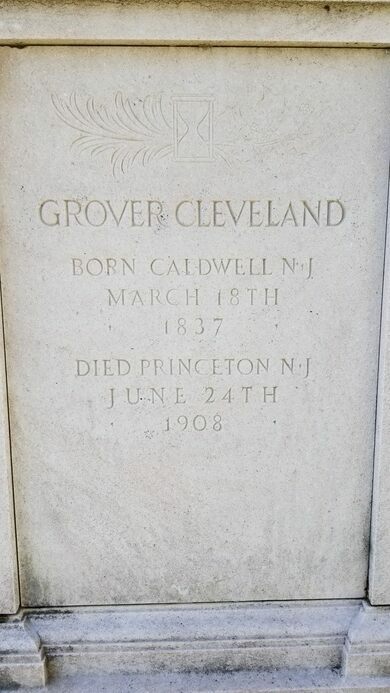 Many luminaries are buried here at the stately Princeton Cemetery, from the only U.S. president to serve non-consecutive terms, Grover Cleveland (the 22nd and 24th president of the United States) to U.S. history’s most in-vogue antagonist, Aaron Burr. 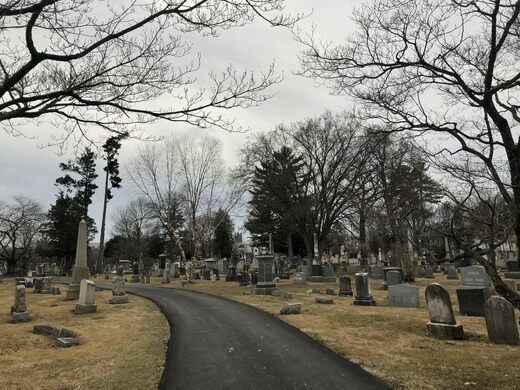 Established in 1757, Princeton Cemetery is the resting place of some of New Jersey’s oldest families and most famous residents. 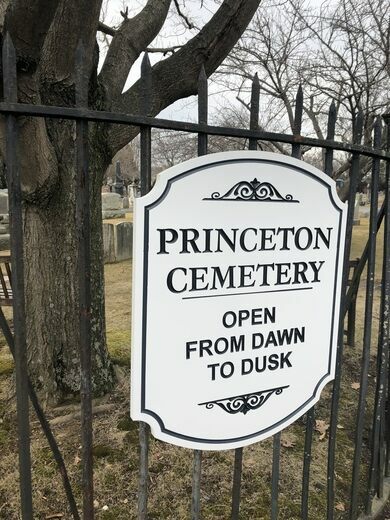 The history of the cemetery is also intertwined with nearby Princeton University, which was named the College of New Jersey until 1896. 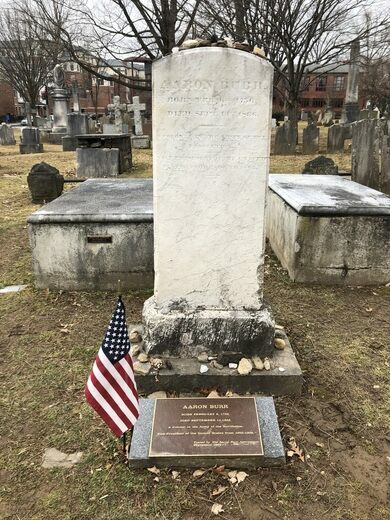 Most past presidents of the College and University are buried in the President’s Plot along Wiggins Street, including John Witherspoon, the only member of the clergy to sign the Declaration of Independence, and Aaron Burr, Sr., second president of the College. 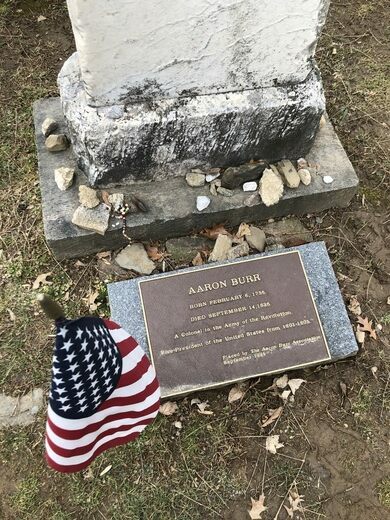 His son, Aaron Burr, Jr., is buried in the plot next to his father’s crypt. The Aaron Burr Association placed a plaque there in 1995. 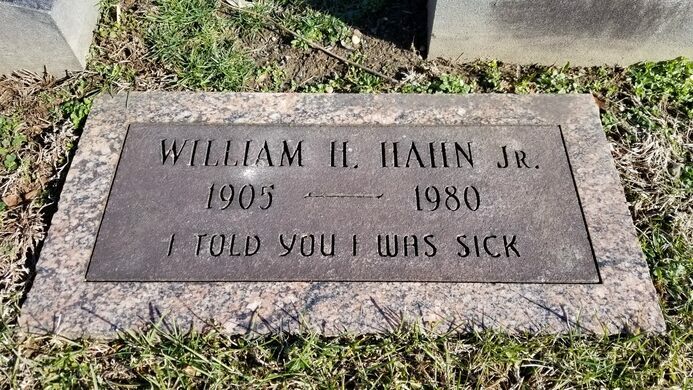 The former politician’s resurgent celebrity, due to the hit Broadway musical Hamilton, is evidenced by the dozens of trinkets and doodads visitors leave on his grave. Brochures with a map are available in a small kiosk at the cemetery entrance on Greenview Avenue. The map contains a grid system with notable gravesite locations. A feminist who put a pretty face on suffrage when she rode a horse through the Capitol. The final resting place of a suffragist author.